The flavor of the activist/alarmist reaction is suggested by headlines from the usual suspects. A more restrained report comes from AL.com Alabama climate change skeptic named to Trump’s EPA advisory board Excerpts in italics with my bolds. The Trump administration continued its reshaping of how science is evaluated at the Environmental Protection Agency with the appointment Thursday of a slew of new members to a key advisory panel. Among the eight additions to the agency’s Science Advisory Board are a number of members whose ideas run against mainstream scientific thinking on issues that include the health effects of radiation and the modeling of Earth’s climate. Andrew Wheeler, the acting EPA chief, added the eight new members while reinstalling eight others selected during the Obama administration. He cast the appointments as a reaffirmation of the Trump administration’s commitment to hearing scientific opinions from a diverse set of voices. But critics of the administration see this and other moves under Wheeler and former EPA chief Scott Pruitt as part of a larger push to make the agency’s decisions more friendly to industry. With the announcement Thursday, 26 of the board’s 45 members have been appointed by the Trump administration. The best-known new member of the panel, though, actually does work at a university. 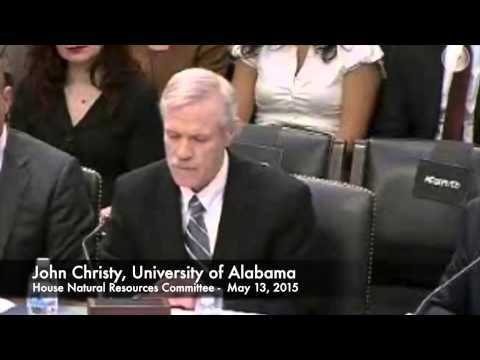 John Christy, a professor of atmospheric science at the University of Alabama in Huntsville, is perhaps the most prominent climate skeptic in all of academia. Christy acknowledges that humans have altered Earth’s climate. But he’s a polarizing figure within the climate science community for his criticism of mainstream climate models produced by NASA and the National Oceanic and Atmospheric Administration and of scientific conclusions about the severity of global warming reached by the United Nations Intergovernmental Panel on Climate Change. Pointing to his own analyses of satellite temperature data, which suggest that observed warming is on the lower side of projections, Christy has argued that atmospheric temperatures are less sensitive to the buildup of greenhouse gases than the majority of other climate scientists say they are. Among the many scientific institutions that say global warming is dangerous is the EPA itself. In President Barack Obama’s first year in office, the EPA determined greenhouse gases posed a risk to public health, giving the government the legal justification it needed to try to curb emissions from cars, coal plants and other sources. “I, as well as many others, am very skeptical of the basis of many of these findings, like the endangerment finding,” Christy said in an interview Thursday. The advisory board will also now include Brant Ulsh, a health physicist at M.H. Chew & Associates whose work focuses on low-dose radiation. In the past, the EPA has maintained there is some risk of cancer from any exposure to radiation. But Ulsh argues the way the government has modeled the health effects of small amounts of radiation exposure at places like nuclear power plants overplays that risk. Another new panelist is Richard Williams, an independent consultant and former Food and Drug Administration official who has praised the Trump administration for cutting regulations. In the fall of 2017, Pruitt upended the agency’s key advisory groups, announcing plans to jettison scientists who have received EPA grants. The move set in motion a potentially fundamental shift, one that could change the scientific and technical advice that historically has guided the agency as it crafts environmental regulations. 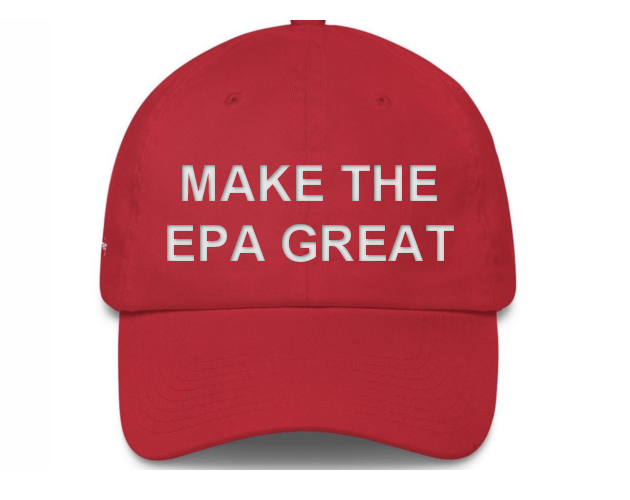 “It is very, very important to ensure independence, to ensure that we’re getting advice and counsel independent of the EPA,” Pruitt told reporters at the time. Re John Christy. Michael Mann with accusations of ‘faulty.computations,’ …That’s rich, coming from him. LOL. Is this or is this not a case of projection? Well, at least he hasn’t sued him (yet). Thanks for writing up Ron.. Good comment Beth. Hoping John has the fortitude to weather the opposition. I find his discussions on climate change realistic and supported by the data. A good choice; the right man for the job. Agree Ken. He is circumspect, and refuses to leap beyond what the measurements show. Also, he has a long history and memory of IPCC shenanigans, especially the whole hockey stick travesty.